Professor Michael Omolewa is Nigeria’s representative at the United Nations Educational, Scientific and Cultural Organisation (UNESCO) between 2000 and 2009 out of which he was the President of the General Conference of UNESCO for two years. He is an Emeritus Professor of the History of Education at the University of Ibadan, where he had served as the Dean of Education for several years. He had previously served as the Chairman of the Committee of Deans of Education of all Nigerian universities beyond holding other positions. He currently teaches at Babcock University, Ilisan-Remo. ABDUSSALAM AMOO recently interviewed him during which he talked about various subjects including examinations, teacher quality, and UNESCO. Excerpts are presented below. 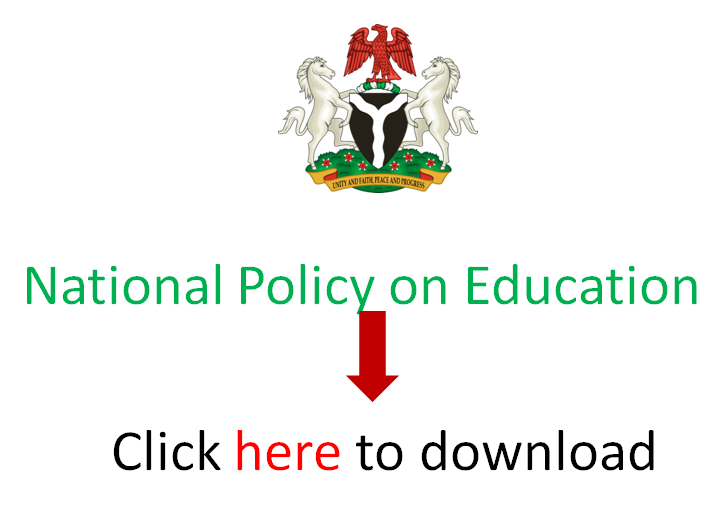 What would you say is the major challenge associated with teacher education in Nigeria? It is the remuneration, the incentives, and the encouragement of the teacher. The days when teachers were respected are gone. Today, we find all these emergency contractors and politicians taking all the money and using that to intimidate the teachers so that learning becomes a burden, unlike in the olden days when learning was encouraged. We used to sing the song Bàtà rẹ́ á dún ko ko kà meaning “If you know what you study, your shoe will make sonorous sounds”. Now, there are no more shoes, no resources, and education has been impoverished, devalued, inundated with carelessness and sheer abandonment. Despite the number of teacher education institutions, we still talk of poor quality of teachers. Why is this still a problem? Nobody wants to be a teacher anymore. But when you discover after graduation that it is the only job available to you, you go there half-hearted, and indifferent. So, that reflects on your performance as well. The best brains used to be teachers in the past. Now, the best brains are bankers, managers and so on, leaving the rest within the education sector. And that affects the quality of the training that is being conducted by those types of teachers. That is why the Teachers’ Registration Council of Nigeria (TRCN) is trying to reverse that to make sure that the best is still encouraged to remain as teachers. We are hoping that there would be a change. The present leadership of the education ministry led by Adamu Adamu respects teachers and wants the role and status to teachers to be refined and the restoration to take place so that you would be proud to be a teacher. How can we make teachers proud? Whatever you choose to do, make the best of it. Don’t compare yourself with other people. Don’t think because you are not a lawyer, you will not build houses. You don’t have to build a house to be satisfied in life. Just do your work conscientiously with dedication and commitment. You will derive so much joy that those who have six houses can never have. Let teachers continue and appreciate the tremendous contribution they are making for the young ones who the society has cast away. They are being restored by careful cultivation, they are able to achieve their goal in life. That is sufficient motivation to know what to do to be a teacher. Low cost schools claim to be contributing to the education sector. What’s your view about them? They should continue to be encouraged to assist. If they don’t assist in that situation, there would be a lot of backlog of those who would be left out. Once you are left out and you are excluded, you look for alternative means of livelihood. That leads to antisocial practices such as cultism. Let them do the little that they are able to do. Let’s encourage, empower, and appreciate them. As much as possible, let’s appreciate them with a token so that they can continue to serve the community and the society in general. How does UNESCO fund its operations? UNESCO takes its money from member-states based on the level of their economic prosperity. So, you have about 23% of the budget used to be paid up by the United States, followed by Japan, China, and France. Those are contributing 9% and above. In the other category are Brazil and India, which contribute between 2% and 9%. Then, we have South Africa, Nigeria and others that contribute less than 1%. So, UNESCO cannot be a funding agency. It derives its money (from these sources) and spends very little on personnel. The remaining money is used to give technical support to countries that request. A lot of researches have been carried out within the education sector. Yet, there are still challenges within the sector. Why is that so? Don’t forget that research is always continuous. You can never end research. In fact, you can do the research of a research. Therefore, whatever is being done is just the beginning. At that, the research has to continue and that is what we will be doing to encourage everybody to make a contribution through research. That is the only way that the new century products can be cultivated. We have so many examination bodies. Do we really them these many? Initially, there was only one examination body – the West African Examinations Council (WAEC) preceded by the Cambridge School Certificate Syndicate brought to Nigeria in December 1910. At that time, once you fail, you fail. So, it was lack of wisdom by the whole country to depend on only one examination body. In the United Kingdom, they are about six. So, students would not be stranded and despair just because of one examination determines the decision. So, it is good that Nigeria has multiple examination bodies. The more, the better. Don’t destroy these young students’ enthusiasm in life. There are so many conditions that determine the status of the mind of a student wanting to take an examination. Maybe some are good in the morning but not in the evening and the examination body is only conducting exam in the morning. I think if possible, let’s have more (examination bodies) but let’s also regulate them to make sure that they are held accountable in terms of the questions, award of marks, and quality maintenance, and those things that make a good grounding in monitoring and evaluation. In essence, are you aligning with those who believe that we should have examinations as a means of evaluation unlike in Finland, for example? Yes. You know that examination started in China to determine the performance of individuals. I think that we should just continue that type of system until eventually, some of those who brought examinations to us like Britain, America, France, German and Portugal have stopped. Then, we too can now begin to think of stopping it. There is a multiplicity of agencies regulating the educator sector. Don’t you think these should be merged? Remember the Orosanye Report had already looked at this expansively and extensively. There is so much duplication and competition not just in the education sector but also in other sectors. If there is a holistic approach, until then, let them face their special areas and move on. Each agency can still in the meantime face its own mandate and excel because the country needs to have an accelerated development. Click here to read a guide to processing your WAEC Certificate.